S he said it ever so subtly, but House Speaker Nancy Pelosi, D-Calif., Prepared this week that she is ready to compromise on border funding. She won't do it – even if she can't do it – unless she gets a way to save face. "There won't be any money in the law," she said. "But if they have some suggestions for specific sites, technology, some infrastructures … that are part of the negotiations." Pelosi went from there to discuss the cost-benefit analysis of boundary obstacles, which means that a fence would be cheaper and more efficient than a wall. Maybe she's right, and on some parts of the border, very right. Meanwhile, President Trump rightly states that a country has the right to control its borders, which in many cases will involve a wall or a physical barrier. Democrats are under very political pressure to prevent Trump from coming out of this debate with something similar to a victory. They were chosen to oppose him. And many democrats (not all, but also Pelosi) have gone so far as to make the idiotic argument that a border wall is immoral. It's a bit of a stretch, considering the hundreds of miles that already exist, as Democrats voted not long ago, but this is where we are today. 1; working to avoid an agreement to break their respective counterpart. 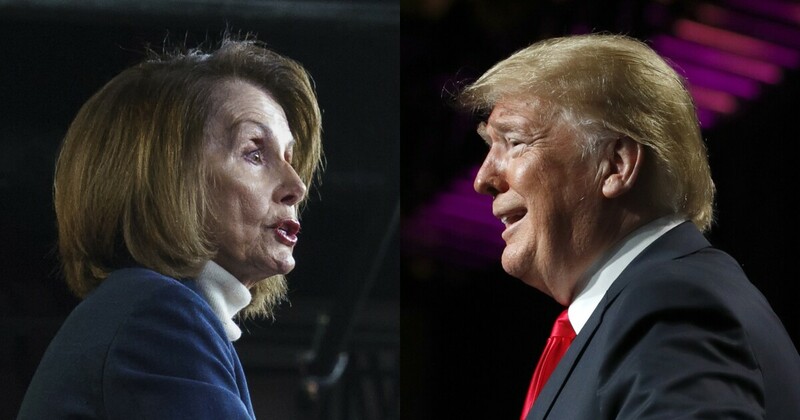 Trump has to negotiate something that lets Pelosi go away to say she succeeded – "no new wall" – while allowing the construction of barriers by border, whatever we want to call them. A particular need based on the border patrol account is to fill the existing segments of walls, fences – already scattered throughout South Texas along the Rio Grande. If both sides insist on total victory – by pulverization and humiliation on the other – then we are on our way to another shutdown, and this time, the party that brings it is due.